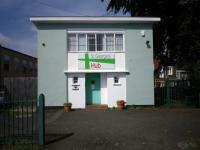 St. George's HUB, operated by St. George's House Charity, provides a range of crucial frontline services for Wolverhampton's most excluded and vulnerable men, delivered from its 'Open-Door' drop-in centre close to the City Centre. Based in Chapel Ash. St.George's HUB work with men in the areas where men are unfortunately over represented such as rough sleeping, substance misuse, being a victim of crime. Our dedicated staff provides a wide range of tailored services. These include one-to-one crisis intervention for those with rent arrears, debt and benefits issues, as well as long term help with identity building, basic computer skills, employment, a calender of activities and life skills training. Our services do not require an appointment and take place from Monday to Friday 8.30am to 4.00pm; We provide a range of sessions that enable us to engage with the City's help the most vulnerable men and offer a 'wrap-around' service based on individual needs. Starting with our Breakfast Club at 8.30am our staff and volunteers have an opportunity to identify rough sleepers and vulnerably housed men. This provides a healthy basic meal (and perhaps most importantly support) access to mainstream services and secure accommodation. The primary objective of all of our team is to address problems from the root cause, and empower clients find their own solutions and help them get 'back on their feet' as active, positive members of the community. The service has a wider mission to raise awareness of the issues where men are overly represented, in areas such as suicide. Located close to Chapel Ash roundabout, adjacent to Sainsbury's superstore.